On the last sitting day of parliament for the year, senators discussed a Home Affairs legislation amendment. Whilst discussing the amendment, Liberal Party Senator Mathias Cormann offered words of advice to the people of Australia ahead of next year’s federal election. 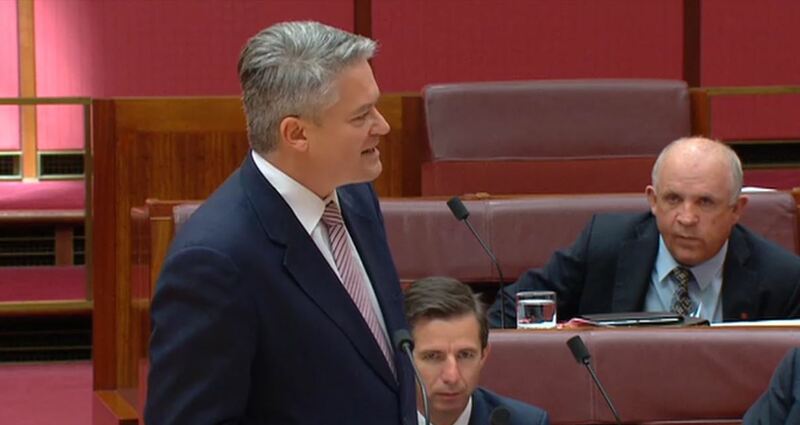 Senator Cormann told votes “don’t risk it” with regards to the Australian Labor Party’s approach to national security. Cormann was referencing the changes Labor made in 2008 to the Howard Government’s immigration policies. During the discussion it also came to light courtesy of Independent Senator Tim Storer that when looking at healthcare for refugees on Nauru that there was a contractual loophole stating that healthcare provided did not have to be up to Australian Medical Standards. Senator Cormann said the amendment would undermine the successful implementation of Australia’s offshore processing systems. Those that opposed the amendment cited the conditions facing indigenous and rural communities in Australia, arguing that they should be a priority. Controversial One Nation leader Pauline Hanson attacked the Greens for supposedly not focusing on the needs of Australians. The federal election will likely be held in May next year with the budget set to be released April. With only 73 seats in the House of Representatives, including speaker Tony Smith the coalition is a minority government. If Scott Morrison wants a second term as Prime Minister it will be crucial for the coalition to engage those voters who have been disenfranchised after a year of scandals and infighting.